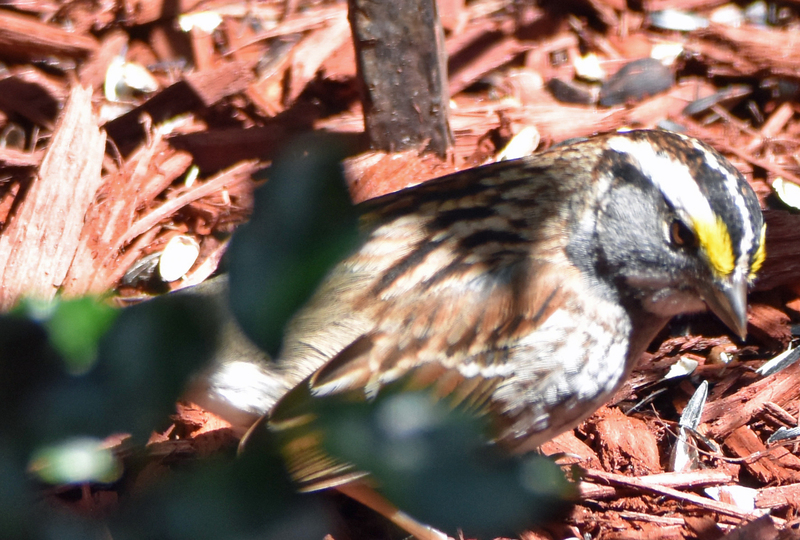 For about two weeks each Spring, White-throated Sparrows visit our feeders. On April 20, Ingrid heard the unmistakable “Sweet Sweet Canada, Canada, Canada” on a morning run. In the ensuing days we’ve seen two or three adults and juveniles hopping around under our holly and azalea bushes. If past is prologue, they will disappear in the next few days and head toward Canada.